Tracy Scott is a conflict consultant. We talk about how her goal is to providing opportunities and processes for collaborative positive change. This conversation was recorded in Christchurch shortly before the tragic mosque shootings. 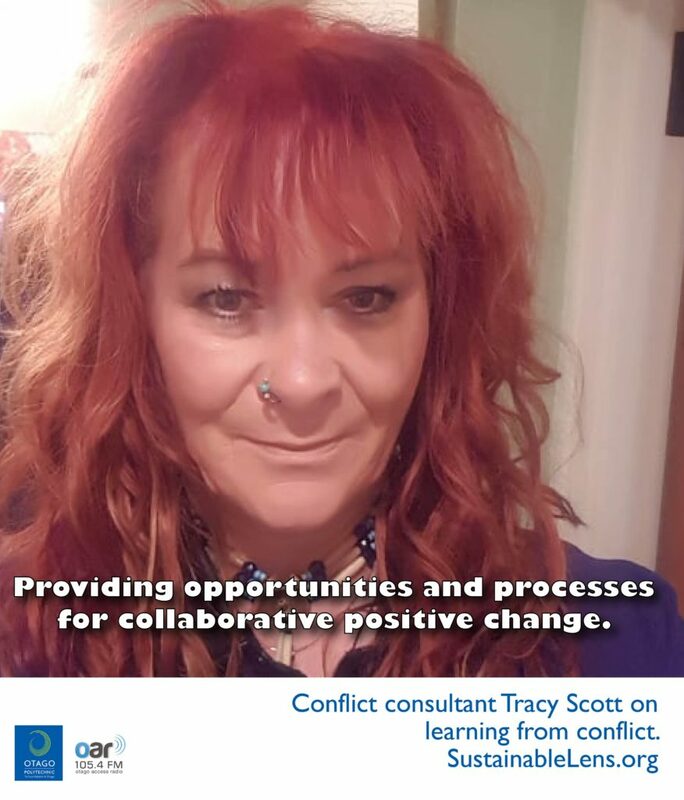 Tracy describes how the moment of conflict isn’t positive but what can happen because of the conflict that can be, if we choose to let that guide us to learning and understanding. In the wake of the incredible tragedy we are seeing positive change, new learning, new understanding and even more connections and building of relationships. We plan to get Tracy back soon to discuss what we can learn from the positive community responses to what happened as we all find our way through to make some kind of sense out of it all. Kia Kaha Christchurch. My job is to open up the doors, people choose if they want to walk through them. Sustainability: Activity and programme is bigger than the person doing it. Superpower: I read people really well. Activist: Probably. I create change. It can be uncomfortable, change is about the unknown. Motivation: Knowing it makes a difference. And I’m comfortable to say I’m good at it. Building youth resilience, aligning with school curriculum. We need people to have this toolkit and to put it into play earlier.